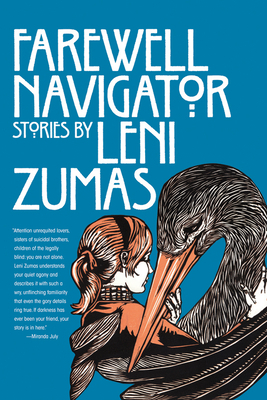 In this dazzling premier collection, Leni Zumas shines a bright light into the far corners of a dark, dreamlike America populated by a cast of characters on the brink of survival. With the Gothic style of Flannery O’Connor, the urgent lyricism of Jayne Anne Phillips, and the quirky humor of Sam Lipsyte and George Saunders, Zumas blends a lyrical, poetic voice with remarkably original storytelling. A teenage boy finds his blind mother making a pass at his new best friend; a lonely woman works in a pillow factory by day and at night tends to a menagerie of sick animals; an aspiring witch is disillusioned by her spiritual shortcomings; a girl from a town so small it doesn’t exist on any map runs away with a rock band. The odds stacked against them, these lovingly rendered outsiders find redemption in the unlikeliest of circumstances. Zumas so skillfully intertwines the utterly fantastic with the absolutely believable that the reader has no choice but to follow in fascination and wonder. Even the most surreal moments take on a surprising familiarity, and the bleakest moments are imbued with unexpected hope. To become engrossed in Zumas’s world is a strange and beautiful delight.